Join guest speaker Professor Stephen J. Morse, JD, PhD, former MacArthur Foundation Law & Neuroscience Project co-Chair and co-Director of the Center for Neuroscience and Society and CLBB Faculty members Judge Nancy A. Gertner and Professor Amanda C. Pustilnik for a conversation about how – or whether – new knowledge about the brain is changing legal concepts of agency and responsibility. 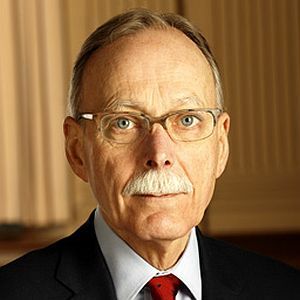 Stephen J. Morse is the Ferdinand Wakeman Hubbell Professor of Law; Professor of Psychology and Law in Psychiatry; and Associate Director, Center for Neuroscience & Society at the University of Pennsylvania. Morse works on problems of individual responsibility and agency. Morse was Co-Director of the MacArthur Foundation Law and Neuroscience Project. Morse is a Diplomate in Forensic Psychology of the American Board of Professional Psychology; a past president of Division 41 of the American Psychological Association; a recipient of the American Academy of Forensic Psychology’s Distinguished Contribution Award; a member of the MacArthur Foundation Research Network on Mental Health and Law; and a trustee of the Bazelon Center for Mental Health Law. Part of the Project on Law and Applied Neuroscience.